There is something about classic cars. Thinking of it objectively, they are just hunks of metal, through which fluids flow, combustion happens and they move. When you think about it, they have more in common with a lawn mower than a piece of art. And yet, they inspire in us so much. When we see an old classic car, be it a Beetle, a Mustang or a Renault, it makes us feel something. I like to think of it in the same way as Proust’s Madeleine, one whiff and you are transported back to your childhood, your family home and your parents. When we see a car from our childhood, we are just transported back to another time, when things were less stressful, when we could just have fun, when we had time. However, the problem with old cars is that they are, uh, old. Therefore, they need parts, maintenance, TLC. And when those old cars come from another continent and are not made anymore, you need serious devotion, passion and skill. That’s where Michel and Alpine America come along. He helps keep memories alive. First, a bit of context. Today in North America, the only sign of Renault you will find, is in part of the name of the parent company of Nissan (Renault-Nissan). More curious people will also know Renault as the builders of some of the engines in Nissans and in F1, that’s about it. Forty years ago, that was not the case, Renault was actually a big part of the North American automotive landscape. In fact, when you watch that 90s classic, Dude Where’s My Car, you’ll notice that the star of the movie is a Renault LeCar. Renault has been present in North America since 1906, selling their most prestigious vehicles and soldiered on, with cars like the Dauphine, 4CV, Fuego, Alliance (R9), and even later models like the Medaillon (R21) and Premier (R25) until 1992. In the end, emissions, crash-test standards and the American thirst for V8 motors and big vehicles made sure Renault would not come back. This means, for almost half a century, North-Americans grew up with Renaults, had parents who drove the cars, saw them in the streets and movies. But after 1992, it was finished. Renaults would become a rarer and rarer sight, relinquished to a time when you could order a Pizza at McDonald’s. This is where Michel and Alpine America steps in. This French national, who moved to Quebec in 1976 was always passionate by cars, and in particular fast Renaults. He started working for Renault in Canada, before moving on to Subaru. During his time working with new cars, he continued doing what he likes: making fast Renaults faster and rallying them. His dedication led him to be crowned the rally champion of Quebec in 1986 in a Renault 5 Turbo. As cars became more and more complex and electronically assisted, Michel decided to leave the world of new cars, and concentrate on what he does best: Keeping old Renaults alive, making them fast, and making sure the French spirit for speed stays alive in North America. Thus, in 2000, Alpine America was born. As the name suggests, Michel likes to focus on the pinnacle of fast Renaults, the Alpine. Created by Jean Rédélé in 1955 with the A106, Alpine was the result of taking an ordinary Renault, removing the superfluous parts, improving the engine to new heights, and overall turning it into a race car. This venture culminated in 1962 with the Alpine A110, which went on to become a rallying legend. The story continued with the unloved A310 and A610, to end sadly in 1995, but that’s a story for another day. 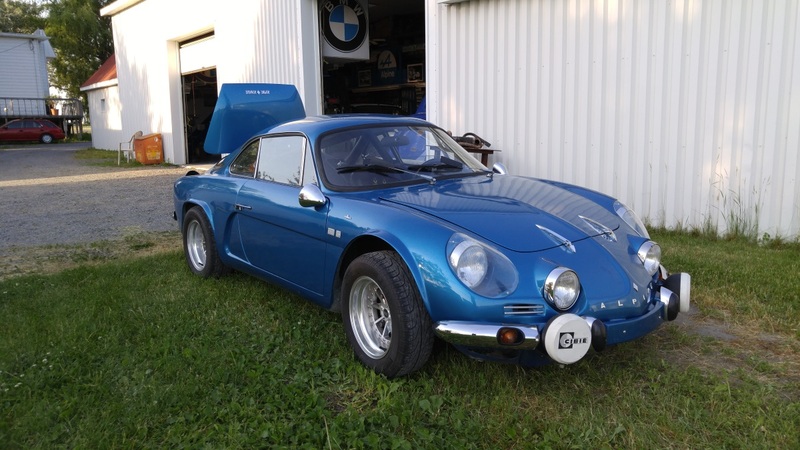 Anyway, officially, the Alpine was never imported in North America, and with the A310s gathering dust in Europe, Michel decided to import what he could find. 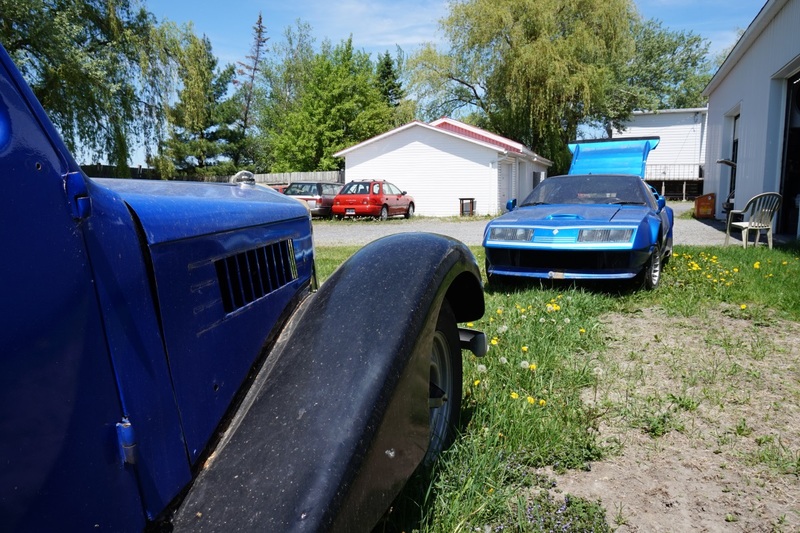 The response was more than positive, and Canadians and Americans just wanted more and more of this small V6 powered, rear-engined, rear-wheel-drive car. Michel went on to improve the A310s, by working with Willwood for better brakes and improving the intake manifold to make a classic, but potent little race-car. Being one of the only Renault specialists in North America, Michel also gets to work on the unicorn A110, as well as related cars, like Lotus Europas or Matra Jets. In addition to the Alpine, Michel loves to work on old Renaults. 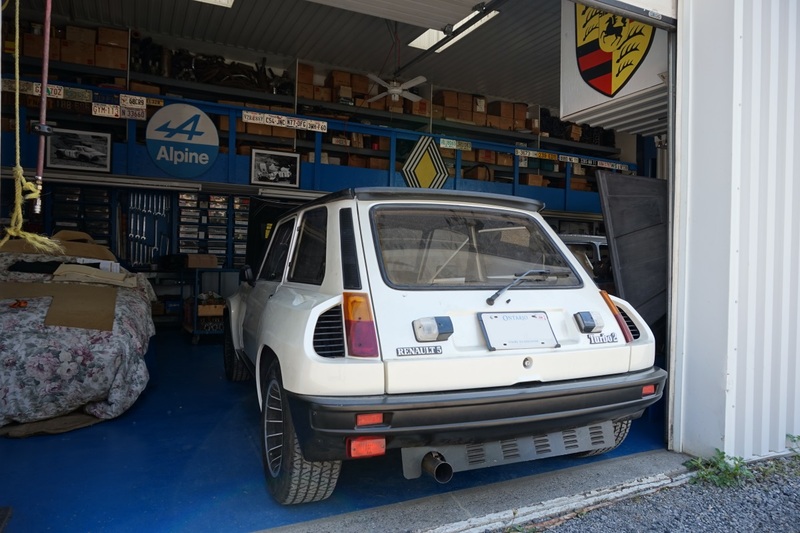 One of his specialties is taking the ordinary LeCar, and transforming it into the brutal Renault 5 Alpine that only France got to enjoy back in the day. Having seen his work, one only has to wonder, why would you consider a Mini Cooper instead? After all, once it has passed through his hands, you are talking about a car that has at least 130bhp and weighs only 850kg. Making sure these classic Renaults can keep on bringing smiles to everyone is hard work. As you can imagine, parts are increasingly hard to find. 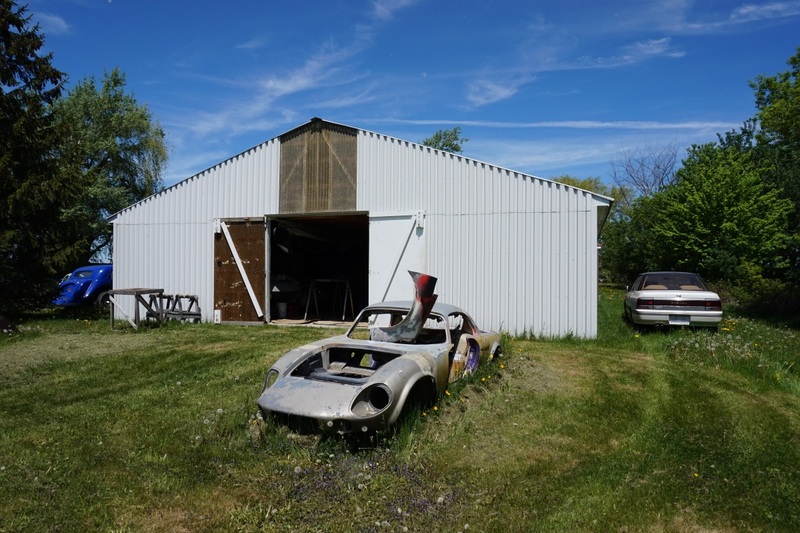 Every year, Michel and a few friends go back to France and comb through the country trying to find salvageable cars from which they can retrieve working parts. In addition to this, Michel imports a considerable number of cars from Europe, based on what his customers want. In some cases, he will even fly to Europe, in order to give his seal of approval on rare Alpines for American customers. Taking into account this, and all the restoration work he does, it would be an understatement to say that Michel is a busy man. Projects, just waiting to live again! Seeing him work on preserving and improving the life of all these classic cars is a genuine treat. Even though he loves his Renaults, Michel will work on about anything, including a 1930s Delage D6, a Ferrari 550 Maranello, a 1965 Ford Mustang, a BMW 2002 (in which he wants to put an E30 M3 engine in) and the odd Subaru Impreza or Legacy. As he told me, project cars are not what he lacks. Looking around his garage, you can count at least 20 cars that are getting worked on, or stored for later. And with the exception of a few friends and family who help him from time to time, Michel tends to work alone. The artist preserving lost memories. 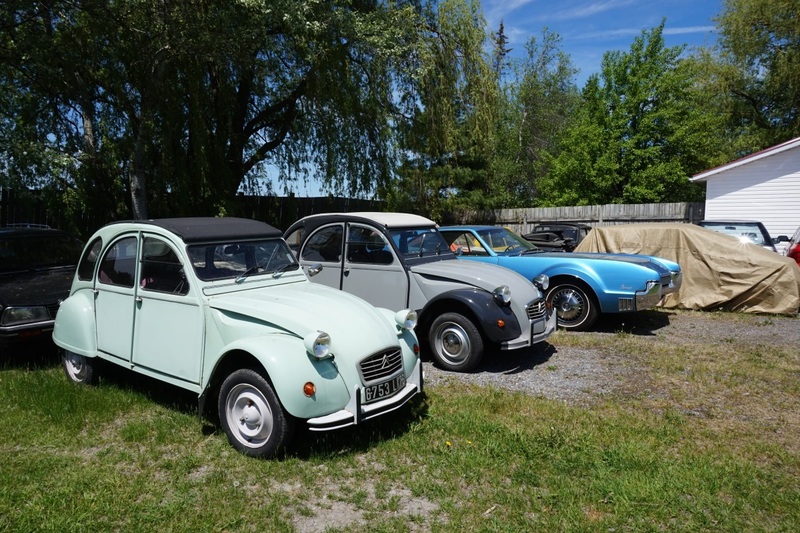 This entry was posted in Philosophy of driving and tagged 2CV, 330 GT 2+2, 550, A110, A310, alpine, america, Art, citroen, classic car, d6, delage, Europa, Ferrari, Impreza, Lecar, legacy, lotus, maranello, quebec, R5, renault, restoration, subaru, Turbo. Bookmark the permalink.